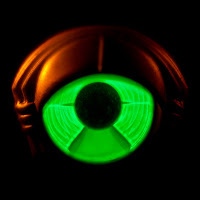 Atlas and the Anchor: My Morning Jacket - "Circuital"
My Morning Jacket returned this week with Circuital, their sixth album and first recorded back home in Kentucky since their break-through album It Still Moves (2003). The new album, while still expanding their limitless sound and no less creative, is much less experimental than Z and Evil Urges but more straight-to-the point and raw, as it was recorded live with very few overdubs. “Victory Dance” opens the album triumphantly, marking a return to form and the title track, “Circuital”, appropriately sparkles with the same wide-open, classic rock sound that we have been missing. “The Day Is Coming” is heartfelt with punchy piano, a bouncy beat, swirling strings and soulful background vocals. “Wonderful (The Way I Feel)” stands out as a showcase of the band’s beautiful and breezy balladry. “Outta My System” blends Beach Boys-like harmonies with surf-y pedal steel melodies into a lush but jaunty jam. The excellent single “Holdin’ On To Black Metal” has more in common with 70’s psychedelia and funk than it does with its Swedish namesake. “First Light” is a rafters-reaching rock song with skronky horns and unhinged guitars. The bouncy, piano-led “You Wanna Freak Out” features Beatles-esque melodies and a fuzzed-out guitar solo that creates a welcomed dissonance. To close out the album, “Slow Slow Tune”, a 50’s style ballad lives up to its name with ringing guitars and closer “Movin’ Away” allows Jim James space to show off his crooning, vocal chops. Circuital provides a nice middle ground between their earlier matierial and their more recent experimental indulgences for an excellent album, again showing why they are one of the most inventive and rewarding bands around.